The Supreme Court of India dismissed a bunch of petitions seeking a court-monitored probe into the death of Judge Loya. The case involved the encounter of Sohrabuddin Sheikh, where Bharatiya Janata Party President Amit Shah had been made an accused. 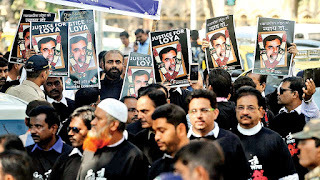 The court in its verdict today made scathing comments on the conduct of the lawyers who had argued the case for the petitioners, calling the PIL a frontal attack aimed at scandalising the judiciary. A political slugfest broke out soon after, with the BJP wanting Congress to apologise and Congress saying that the nation knows the truth about Shah.